Tomato Season 2015 has already begun across the country, with the sowing of seeds of favorite varieties, and anticipation is building! Join Corona Tools along with "Miss Gardening Enthusiasm", Brienne Gluvna Arthur, for a tour of tomato varieties on #plantchat this week. Brie for a give and take about the delights of fresh, garden-grown tomatoes. Contribute your ideas and experience with new and heirloom varieties, propagation tips, and harvesting stories, and find out which are the co-hosts' absolute favorites. 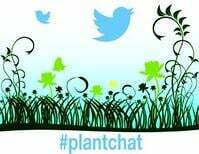 Join @CoronaTools and #plantchat co-partner Emergent Professionals innovator, Brienne Gluvna Arthur tweeting as @emergentprof and learn all about tomatoes this week. The live chat about "Tomato Season 2015" begins Monday, April 6, 2015 at 11 a.m. PST / 2 p.m. EST, were we come together with green industry experts and fellow horticultural tweeps each week to discuss all things related to plants and horticulture, since 2014. Share and learn on this all-tomatoes #plantchat! 411 on Growing Tomatoes - discuss how you grow them, start them from seeds or buy plants, and growing them in the garden or in pots. So Many Choices - what are your favorite varieties? how many do you grow? 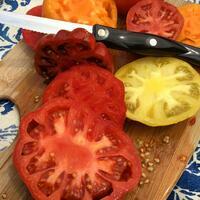 Do you grow heirlooms and organic tomatoes? Fruits of Your Labor - Share how you enjoy your summer bounty! From canning to eating them fresh from the vine!